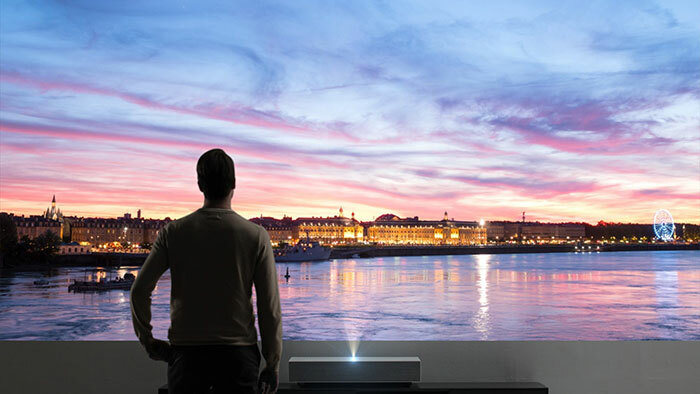 LG has announced the HU85L Ultra Short Throw (UST) CineBeam Laser 4K projector ahead of its official unveiling at CES 2019. This new 4K projector builds upon last year's HU80K with its minimal design, compact appearance and ability to project sharp 4K imagery from very close to the intended projection surface. 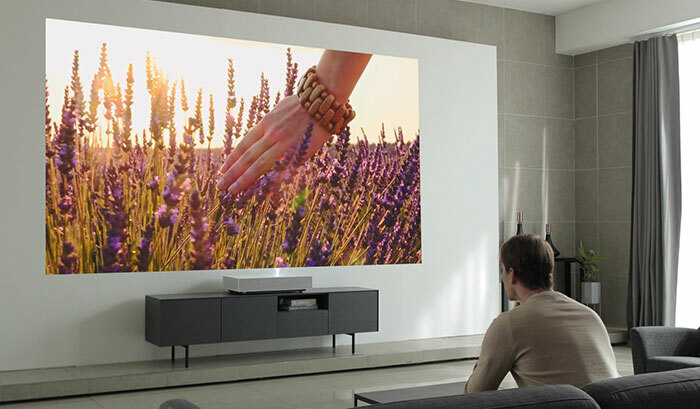 Thanks to LG's refined UST technology the HU85L can sit just 2-inches from a wall, for example, and project a picture with a 90-inch diagonal. Increase that distance to a modest 7-inches and it is capable of projecting a 120-inch image. At its upper limit the predecessor could project images at up to 150-inches so the new model is likely to match if not exceed that vital statistic. Above we don't have details of exactly how wide the gamut on offer is, unfortunately. LG says that the voice control and 'AI' features won't be available in all markets - I think that it will be restricted to markets where LG ThinQ products are available. Lastly, an important factor that is not revealed is the pricing. As an indication, last year's HU80K has an MSRP of US$2500. LG will be revealing more details about its projectors and other products at CES 2019 shortly. wow that's a short distance. Anyone know if 25000 lumens is any good? Hah whoops. Yeah I thought the image looked too clear in a brightly lit room to be real. Within five years we will all have one. More practical than a cumbersome TV.